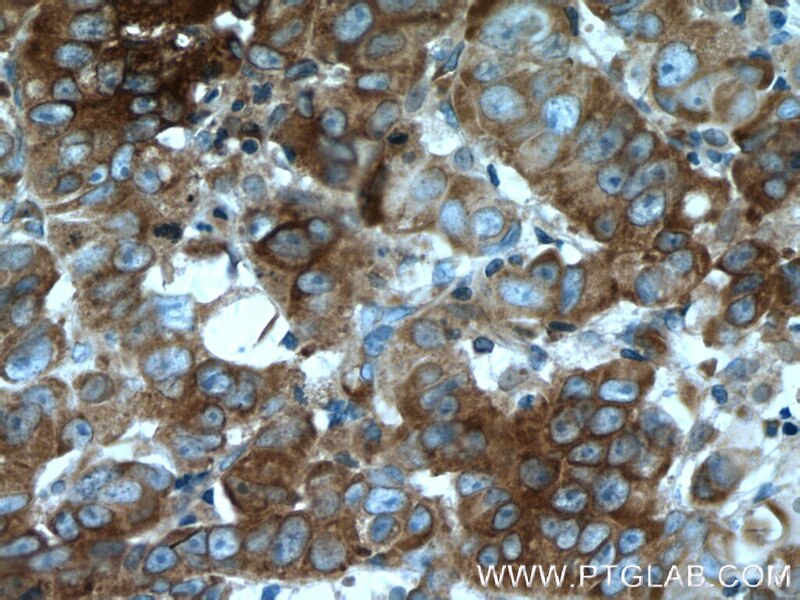 Immunohistochemical analysis of paraffin-embedded human prostate cancer tissue slide using 66482-1-Ig( EIF2A antibody) at dilution of 1:300 (under 40x lens) heat mediated antigen retrieved with Tris-EDTA buffer(pH9). EIF2A, also named as CDA02, MSTP004 and MSTP089, belongs to the WD repeat EIF2A family. 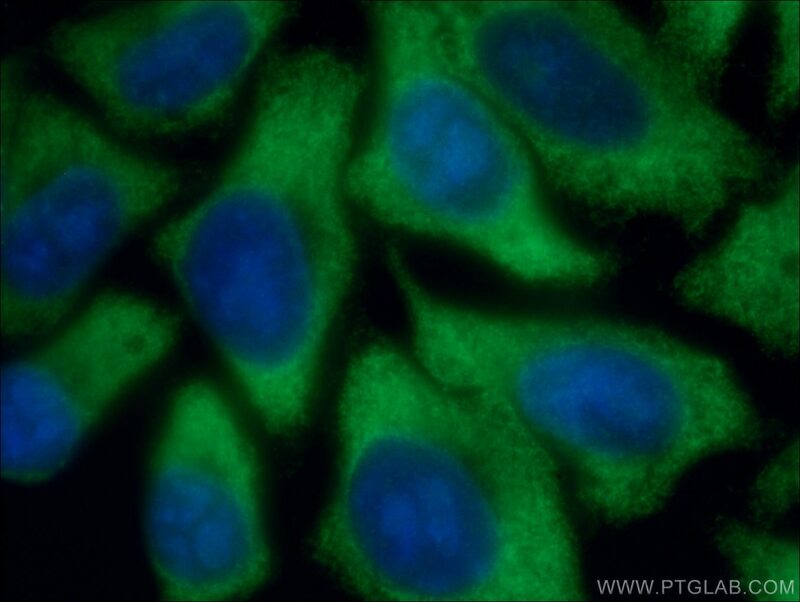 It functions in the early steps of protein synthesis of a small number of specific mRNAs. EIF2A, an alternative initiator tRNA-binding protein, has a key role in the translation of HCV mRNA during HCV infection, in turn promoting eIF2a phosphorylation by activating the eIF2a kinase PKR. 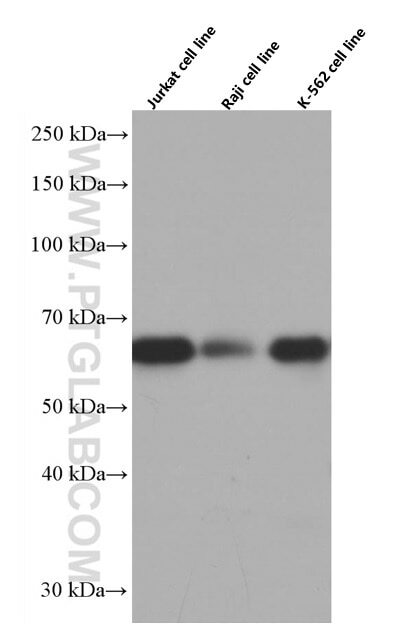 Very good for western blotting. 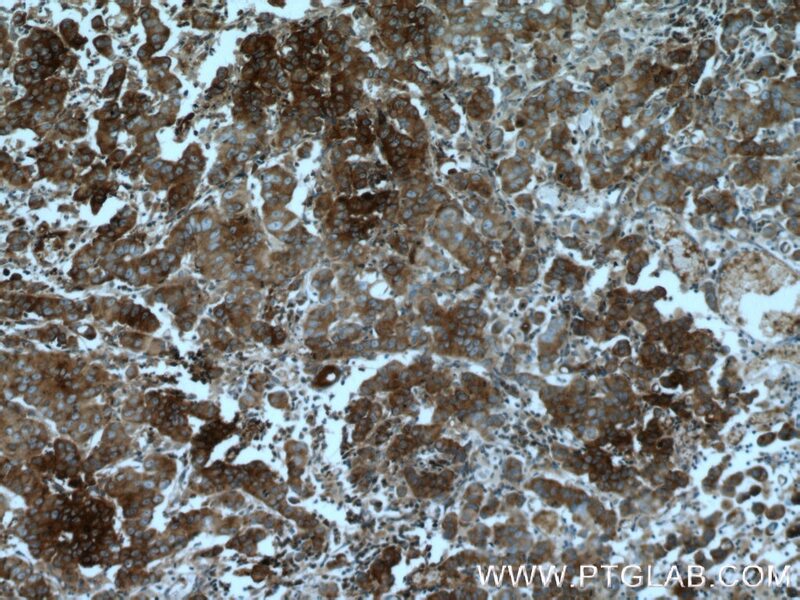 Immunohistochemical analysis of paraffin-embedded human prostate cancer tissue slide using 66482-1-Ig( EIF2A antibody) at dilution of 1:300 (under 10x lens) heat mediated antigen retrieved with Tris-EDTA buffer(pH9).